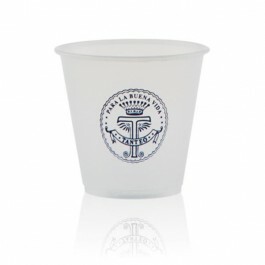 Used as a promotional item or affordable party favor, the frosted cup has become one of the most commonly seen items at any corporate or personal event. Durable, practical, and guaranteed to be seen by every guest in attendance, these 3 Ѕ oz. soft sided frosted cups are the perfect way to advertise or create an item that will commemorate the event for years to come.